When you are chronically ill, you are forced to fight battles you did not choose. The battles never end; you are fighting illness 24-7 and it is tiring, messy work. It can affect all areas of your life, wreaking havoc with your relationships, employment, education, finances, social life and so on...it can tip your entire world upside down. And it doesn't just affect you; it also affects the lives of everyone around you. Do not be fooled by my appearance. I may look well, but beneath the surface is a world of pain and fatigue. If I say that I am tired, then I really am tired. I am not malingering, or lazy, or imagining my pain. If only I could show you what goes on beneath the surface, you would be horrified by what you would see. I may often be in constant pain, in the sort of pain that meds cannot numb. If you become chronically ill, you may lose your mobility, or become disabled. Sometimes, there is visible evidence, such as mobility aids, prosthetic limbs, scars, or disfigurement; these are the battle wounds that can be seen, that people believe. But when the battle goes on beneath the skin or within the mind, the battle wounds cannot be seen. No-one can see that my body is on a self-destruct mission, or that my mind hurts. They cannot see my wounds and people will not believe in battle wounds they cannot see. Did you know that 96% of chronic illnesses are invisible? Having a chronic illness can leave you housebound and dependent on other people. Being ill has taken away much of my independence and at times I feel like a prisoner in my own home. You may lose your income and are not able to support yourself; you may be unable to look after yourself and it may become a struggle to maintain your dignity. It is difficult to explain these things to other people, to medics, to your loved ones and to those who take care of you. I feel like a burden, an inconvenience that must be dutifully dealt with; a chore. I take, take and take, just to stay alive, but I'm unable to give much back in return. ...because I feel like a burden. I require a lot of hep and attention, which may interfere with your own life, with your work/studies, friendships, your social life and so on. You may spend half your life taking me to medical appointments and running around after me because I can barely look after myself. I am sorry that living with my illness causes you so much stress and interferes with your life. Sometimes, I feel like I'm being blamed for my illness. Psychology Today writes that "adults who tended to blame themselves for their chronic illnesses did more poorly because self-blame is not only demoralizing but it also creates significant internal stress which...[causes] further declines in health which then lead to more self-blame." You may struggle with isolation and loneliness, even when you are surrounded by people. You cannot relate to them, they cannot relate to you. And even when you are being cared for and have people around you, you often feel alone and you feel that no-one understands your pain. Humans are social animals, we rely on each other to stay alive. 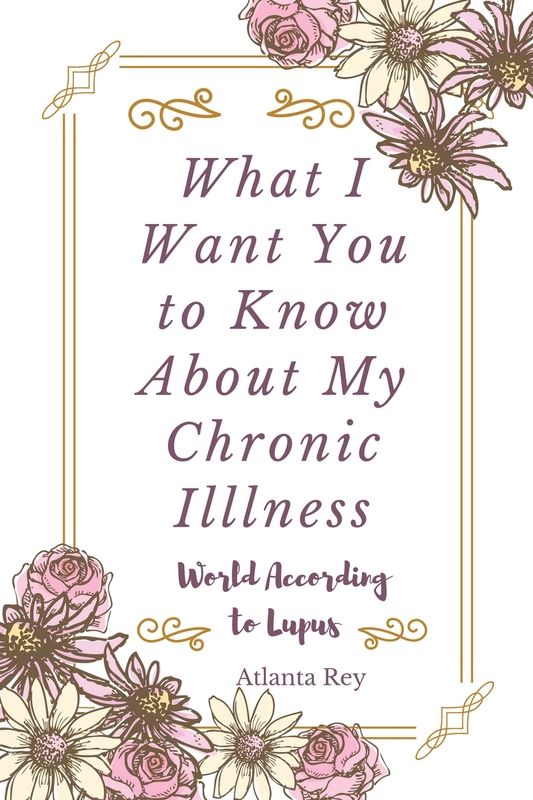 My chronic illnesses has cost me many friends and loved ones. I have no social life because I am mainly housebound, and sick friends aren't much fun. It is during your worst times that you learn who your real friends and loved ones are. As you can tell, dealing with a chronic illness has affected my state of mind. Just like 'invisible' physical illnesses, mental pain is unseen. People usually tell me to pull yourself together...just snap out of it..get over yourself...you're just being awkward...you're antisocial...you just want attention...People do not see that I am trapped by my own mind. They do not live with the constant terror of anxiety, or the numbness of depression. Mental pain causes further invisible scars. Being alone, isolated, stressed, anxious and depressed from dealing with your chronic illness can wear you down. It is important to look after your mental health just as much as you look after your physical health. I know that at times my illnesses may seem to consume and define me, but it doesn't mean that it has killed the person I am inside. I am still there. Even if you can't see me during these times, I am still me and always will be. Beneath the layers of physical and mental stress, I am still there. Please do not forget me. If I slip beneath the waves, please still keep looking for me, even if it seems that there is no hope. Please do not give up on me. You may not be able to see me, but I am there and I have not gone away, despite the changes and years that have passed since I first became ill, and despite how my illnesses affect me now. You think that I do not see it, but I do. You think that I cannot hear you, but I am. I am acutely aware of your suffering and it is unbearable, knowing that you are suffering from my illnesses too. I see how it tires you out and takes up most of your time; I see how it stresses you out and threatens to overwhelm you. I know that you are suffering too. I feel powerless watching you suffer and not being able to do anything about it. I am chronically misunderstood, and you may feel like this too.